It’s a gift to give… a smile, an encouraging word, a moment of your time. And the reward? The satisfaction of knowing you helped a kūpuna in need. Since 1979, Hawaii Meals on Wheels has been serving hot meals to the kūpuna in need in our communities. The program started as a small committee formed by former State of Hawai‘i librarian Irmgard Hörmann and the Social Ministries Committee of the Lutheran Church of Honolulu. Over time, the organization grew as it sought to provide basic nutritional and human support to seniors who are unable to fully care for themselves. What started as two routes manned by six volunteers is now a collaborative effort involving 450 volunteers and over 50 routes that served more than 97,000 meals in 2016. 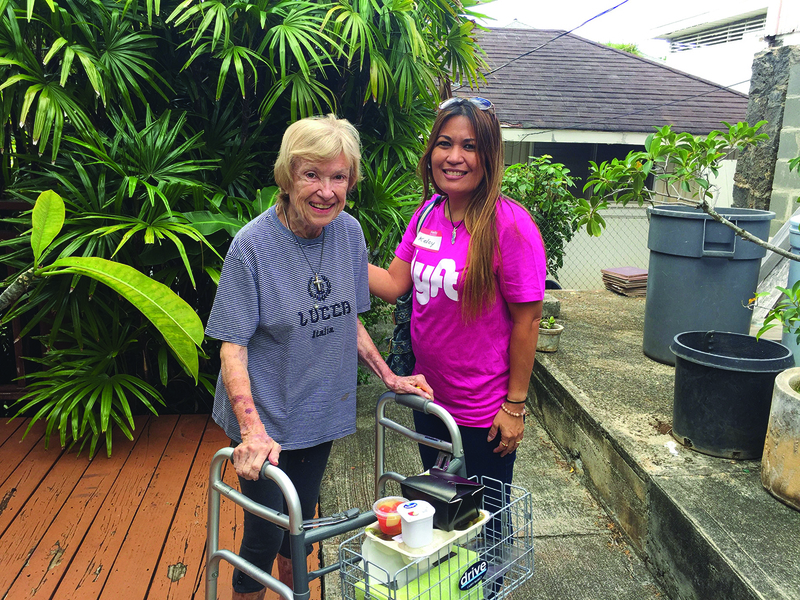 Hawaii Meals on Wheels provides hot, nutritious meals for seniors, delivering them to the homes of those who are unable to shop or cook for themselves and do not have someone currently caring for them. By the year 2020, it is estimated that 25 percent of Hawai‘i’s population will be 60 years of age or older. Compared to the nation as a whole, the Aloha State has a disproportionately large population of seniors, many of whom may be unable to sufficiently care for themselves. 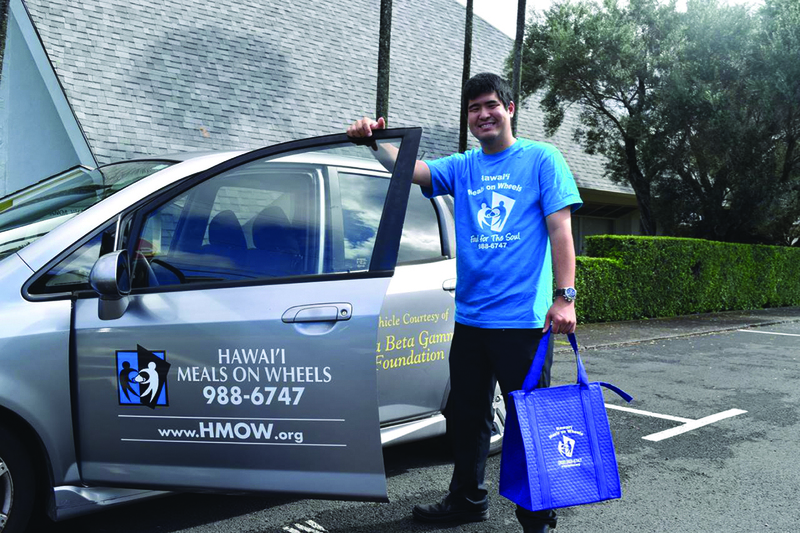 Organizations like Hawaii Meals on Wheels strive to help seniors maintain a comfortable standard of living. For some who depend on these services, this may be the only meal they eat per day and the only personal interaction they experience. Nonprofit programs such as this rely heavily on volunteer support. Not only do they help deliver meals, but they also monitor the welfare of these seniors, while providing them with interaction and companionship that many home-bound kūpuna would not otherwise receive. As the senior population in Hawai‘i continues to grow, so does the need for these services. Unfortunately, because the Meals on Wheels program relies on volunteer help, donations and government funding, not everyone who applies for the program can be accommodated. Not all seniors are fortunate enough to have family members who can care for them every day, nor are they able to afford senior care homes or in-home caregivers. Part of the issue is that those who lack the mobility, energy or capability to care for themselves are also unable to leave their homes — their struggle may go unnoticed. As a result, many people are unaware of the scope of their problems and do not reach out to help the kūpuna in their communities. However, almost anyone that wishes to lend a hand can do so in some way. Meals on Wheels is always in need of volunteer drivers. In addition, those who wish to assist in other ways can help with the September fundraiser gala or administrative projects, or serve on the advisory panel. Meals on Wheels not only helps feed and care for our seniors in need, but also provides those who are healthy and active an opportunity to give back to a generation who once fed and cared for them.